The University of Utah men’s tennis team (3-0) will host the Air Force Falcons (3-1) Friday February 1 at 5pm at the Eccles Tennis Center. The Falcons are coming of a three-match winning streak, including a pair of 6-1 victories at home last weekend against Montana State and Seattle University. Air Force’s only loss of the season came at No. 38 Boise State, 5-2. Last season, Utah beat Air Force in Colorado Springs, Colorado, 6-1. Utah won at No. 2 and No. 3 doubles, thereby earning the doubles point. 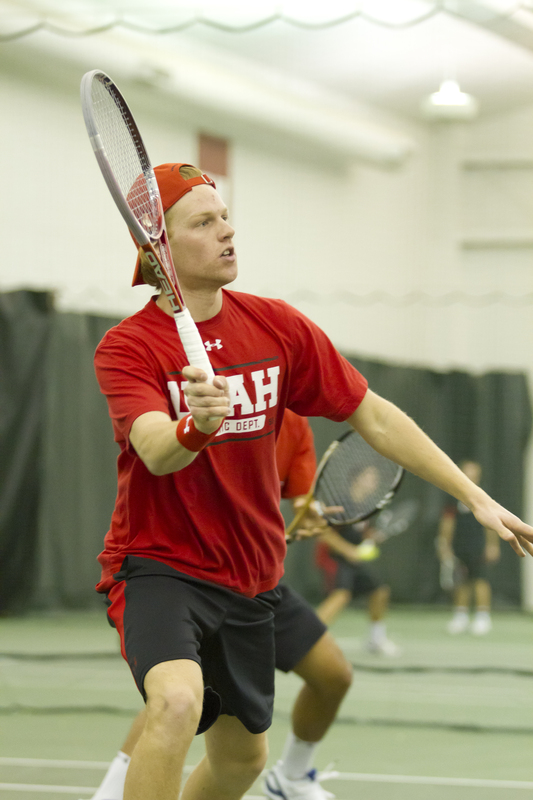 The Utes carried their momentum into singles winning at the No. 2 through 6 positions. Freshman Rafael Davidian clinched the match for the Utes at No. 4 singles with a 6-2, 7-6(1) win over Alex Lineberry. Last week, the Utes improved to 3-0 on the season with a 7-0 shutout victory over the University of Montana. This entry was posted in Schedule/Results and tagged Eccles Tennis Center, ITA, Rafael Davidian, tennis, Utah, Utes. Bookmark the permalink.